Your dental professional may screen you for oral cancer even if you do not have symptoms. if diagnosed at an early stage. A biopsy is when a small excision of the suspicious tissue is made and sent for microscopic examination. 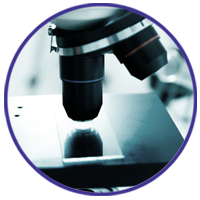 Exfoliative Cytology is when cells are obtained by means of scraping or smearing and examined. (MRI) are other, and possibly less invasive, methods of detecting oral cancer that involve using radio wave energy to view possible subsurface masses and lesions. This procedure involves wiping the suspicious mucosal area and applying Toluidine blue solution, which is a type of stain that colors abnormal cellular surfaces. it is usually a precautionary measure and does not mean that you have cancer.